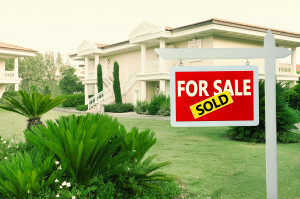 Are you selling your house? It should be ready for visitors…it should be clean and shiny! Here are some daily cleaning tips that will be really helpful when potential buyers are coming in 10-15 minutes. 1. Wipe away! Clean everything with special wipes. Don’t forget about toilet and areas in the kitchen. 2. Before going to bed, pour your favorite scented cleaner in the toilet bowls. The next morning they will be shiny and will smell well. 3. After taking a shower, don’t forget to clean it. Use a tub and tile spray that works perfectly! 4. Don’t forget to wash your dishes, or at least put them in the dishwasher. 5. Do not leave stains, spills, etc. Clean them as soon as possible. 6. Use rugs at the entrance doors, because they will help you to catch dirt! Your floors and carpets will thank you. You can do it by using special shelves. Also there are different kinds of furniture that help to organize your walls and rooms. No matter how tired you are and no matter how desperately you want to go home, experts recommend performing one organizational task daily. You can clean your table or organize papers, delete unnecessary information on your computer, etc. This will help you to get rid of junk immediately. Experts say that this idea will help to declutter your cabinet, because you will only choose those things that are really needed and important. 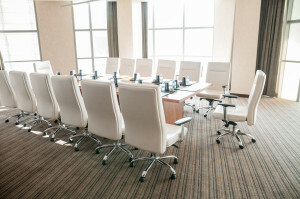 How to Make a Meeting Room Comfortable? In 2005, Microsoft Company completed a survey, which showed interesting results about personal productivity in the office. 71% of the office workers, who spend an average of six hours at the office, said that their meetings are unproductive. What should be done to make an office meeting room comfortable and functional? It should be said that table and chairs in the meeting room is considered to be a center. Here are several tips for arranging your conference furniture. Round tables are ideal for meetings, because every worker has equal opportunities with the others for idea contributions. Long rectangular tables are perfect for meetings where there will be people who will make the decision. We live in the times of new technologies, and offices should also be equipped with everything needed. Easel pads are also important. Many office workers prefer to mark ideas on an easel and then take it back to the office and work on the ideas. Don’t forget about a wall calendar, which will help to plan during meetings and set realistic deadlines for your projects. Now let’s say several words about the color of the walls. Scientists say that yellow color promotes concentration; blue color promotes relaxation and agreeability. Do not use grey color, because it promotes negativity; red color promotes aggression and conflict. The other important thing is lightning. It would be great if your conference room will have windows, because natural light keeps people awake. And of course, keep your conference room clean. Our janitorial company will gladly help you with all the cleaning around your office. We propose best quality and affordable prices. It doesn’t matter where this restroom is situated it should be clean because it will be visited by a great number of people. Nowadays it’s very popular to hire a professional crew that will take care of your office restrooms. Companies in Seattle can be sure that our professionals won’t leave any bacteria and germs in the restrooms. Here are several tips that the professionals of Pro Quality Office Cleaning Company in Seattle use while cleaning public restrooms. First of all cleaning professionals know a lot about ecologically friendly products that help to keep the restrooms clean, and at the same time can kill the germs. These products kill germs everywhere, starting from the toilets and sinks and finishing with the door handles. That’s why entrepreneurs in Seattle who use the help of our professionals can be sure that the restrooms in their offices are in great sanitary condition. The next thing cleaning companies in Seattle pay attention is the floor of the restroom. Here they also use special natural cleaners that help the floor shine. Cleaning companies shouldn’t also forget about garbage bins. They must empty them every time they clean or even more often. If a restroom has a mirror, usually they do have them, cleaning crew should make them shine. After the main cleaning of the restroom experts should continue to check the supplies: toilet paper, towels, soap, etc. And now it’s time to get rid of unpleasant odors. The main thing that helps to get rid of the odors is regular and thorough cleaning. Real professionals in Seattle know how to make the public restroom a pleasant place to walk in and not to die from the smell. Experts from Seattle use special solutions that help to keep the restroom clean for a long time. Choose professionals and we will gladly help you! Not everyone is brave enough to clean computer CPU casing. This is really not an easy task, but someone should accomplish it. So, here are the tools you need to use while cleaning CPU. Take soft cloth, pre-treated computer wipes, computer cleaning fluid, safety glasses, vacuum cleaner, compressed air, and some special cleaning attachments. Store the CPU on a solid surface to permit proper cooling and minimize dust. Then, thoroughly vacuum all cooling slots. Be careful don’t use compressed air on these openings. Otherwise, large amounts of dust will penetrate into the CPU, which is akin to pouring fine sand into the processor. It’s well known fact that water and blunt impacts are the easiest methods to break your computer. If you care about the longevity of your CPU, keep the vents clean. This will maximizes airflow for cooling. Processor failures are most commonly associated with the contraction and expansion of components and connections. You can reduce the extremes between operating and shut down temperatures by keeping the overall operating temperature low. This will increase life span of your processor. Never spray any cleaning solution directly on your office equipment. Always spray the cloth and then wipe the equipment. Use plain water or specialized computer cleaning fluid. Dampen the soft cloth in it and wipe down the casing. If you decide to remove the casing and clean inside, only compressed air should be used. Direct the air out and away from the casing. This will prevent the dust from driving deeper into cracks and crevices. It’s very easy to cause permanent damage to the processor. You can do this by not properly using a slightly errant brush, cloth, or vacuum. Remove the cover for the casing and wipe down the inside. Before taking any office equipment apart, don’t forget to check your warranty. These are some basics for having a clean computer. Spring is a time of renewal. Your company also should prepare for some office renovation. Take care of your office and it will become a productive place to work. First of all, look around. Find a work environment where you spend most of your time. Exactly, it’s work desk. This place should be clean and well-organized. Try to have only necessary items on your desktop that you use everyday. In most cases, your telephone, computer, planner, writing items and action files will be left on your desktop. You might need some other items depending on your job functions. Try to file papers in the appropriate filing system. If you are working on some current project, store it in its own file folder. Create your to-do list and consolidate your sticky notes into it. Second, pay attention to what surrounds your desk. It’s better to keep a minimum of items around you. Those items that you need should be located so that you can find and use them easily. Third, check your office supplies. Maybe you are low on some, then replenish it. You should keep your office clean and well-organized. The best way to complete this task is to maintain your work environment on a daily basis. 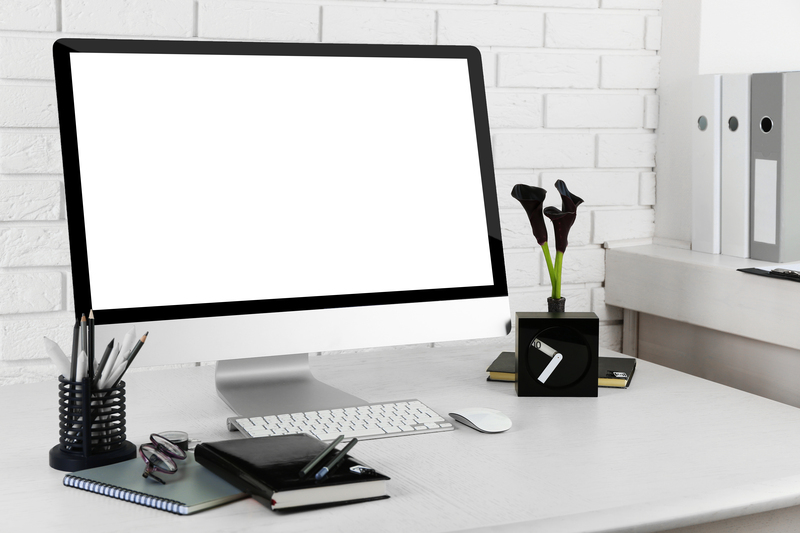 Cleaning your office regularly will help you avoid the build up of clutter. In addition, if your office is free of bacteria, you stay healthy and use your work time efficiently. This is not a difficult task to clean up your work space at the end of the day, and get it ready for the next day. This process will take few minutes. If daily maintenance is not possible, try at least every week or month. We at Pro Quality Office Cleaning would like to share the following tips on how to properly present your office areas. Everyone knows that a clean and well-organised workplace is fundamental to boost employees’ productivity. That’s why you should create for your employees a productive atmosphere that is both professional and friendly. Every stuff member should feel important and appreciated. As well there are many other responsibilities workers should take on. Every employee should keep their workstation clean and well organised. This should be unwritten rule that each and every worker has to follow. If someone messes up their place on purpose, some penalties can be issued. You can create a cleaning and inspection team that will will look after the office cleanliness. Your office stuff should get rid of old paper work. Don’t forget to add recycling bins around the office to incite recycling. There are many things that can be done to help improve the cleanliness of your workplace. Cleaning your office will take some time, but it’s worth it. If you don’t want to spend that valuable time of your working team, it’s better to hire professional office cleaning company to get the cleaning done. Take into consideration that fact that the saved time will be spent more productively on the projects your workers are hired to accomplish. Professional cleaning service will help you enhance the cleanliness and hygiene of your office space. 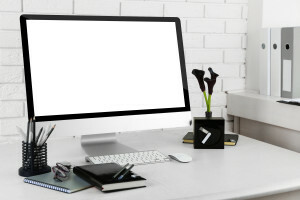 Use our office cleaning tips to keep your office sparkling clean at all time.